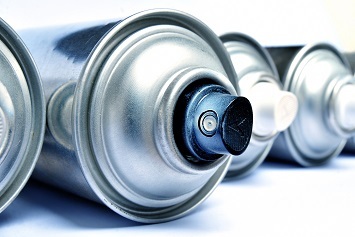 In March, the U.S. Environmental Protection Agency (EPA) issued a proposed rule that would reclassify used aerosol cans from a hazardous waste to a universal waste. Under the revised rule, aerosol cans would be subject to fewer labeling requirements, could be stored on-site in greater quantities for up to 1 year, and would not count toward a company’s hazardous waste generator status. While this would mean that discarded aerosol cans could be consolidated at central locations and transported without a hazardous waste manifest, Department of Transportation (DOT), Occupational Health and Safety Administration (OSHA), and local fire code requirements would still apply. It is important to note that compressed gas containers and propane cylinders would be excluded in the regulatory definition. Managing hazardous and universal waste can be labor intensive. State/provincial and federal regulations can be confusing at times, and operations may not fully understand the risks that these products pose to human health or the environment if they are mismanaged. Today, technology can help environment, health, and safety (EHS) teams streamline and standardize waste management processes throughout their organizations and eliminate paper forms. This helps to reduce noncompliance risks, improve visibility of the wastes stored on-site, and eliminate double entry of data. Technology can also be useful for health and safety professionals who are managing medical surveillance to identify and manage similar exposure groups, as well as providing employees with centralized access to safety data sheets (SDSs) and proper personal protective equipment (PPE) training. 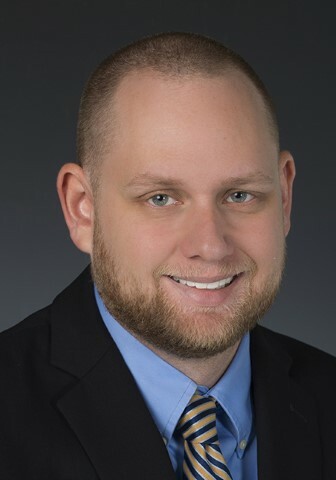 Managing EHS programs with pen-and-paper or filing cabinet systems are fading quickly as more and more companies move to 21st century technology to collect data, manage compliance, identify risks, and take proactive measures to reduce these risks. The EPA expects the new aerosols rule, if finalized, to ease the regulatory burden for companies, especially retailers. The EPA estimates that up to 40% of hazardous waste from retailers comes from aerosol cans, and it also noted that there are four states—California, Colorado, Utah, and New Mexico—that already regulate aerosol cans as universal waste. Two other states, Ohio and Minnesota, have proposed reclassifying aerosol cans to universal waste under state regulations. Reclassification could also eliminate the need for certain companies to participate in the e-manifest program, which would further reduce costs and save time. According to the EPA, this change would encourage recycling and save at least $3 million per year in regulatory costs. The EPA accepted comments on the proposed rule through May 15, 2018. 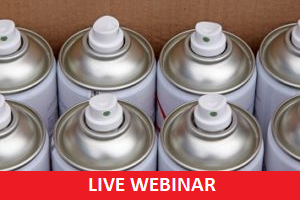 To learn more about hazardous waste disposal, join me on June 26 for a live webinar, Hazardous Waste Disposal: How the Proposed EPA Rule Will Simplify the Management of Used Aerosol Cans, when I will discuss the current regulatory landscape, what the proposed rules could mean for industry, and how technology can assist companies managing their hazardous and universal waste to better ensure compliance.